Use these cables to interconnect equipment which utilizes 50-pin VHDCI (Very High Density Cable Interconnect) connectors. 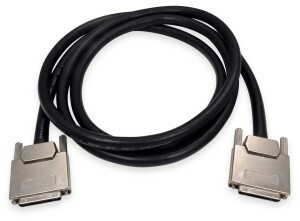 These attractive cables feature 50-pin VHDCI male connectors on each end, metal connector hoods, twisted pair wiring, and a shielded cable jacket. 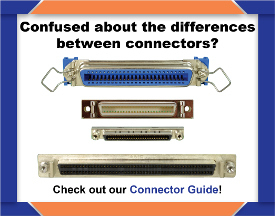 VHDCI connectors utilize sliding ribbon contacts instead of standard pins. This connector provides a highly compact arrangement of contacts which is particularly useful in arrangements where space is limited. VHDCI connectors are also sometimes called Very High Density Connector Interfaces.